Supporting. Educating. Advocating. Empowering. One child, one family, one community partnership at a time. Do you want a job where you can truly make a difference in your community? 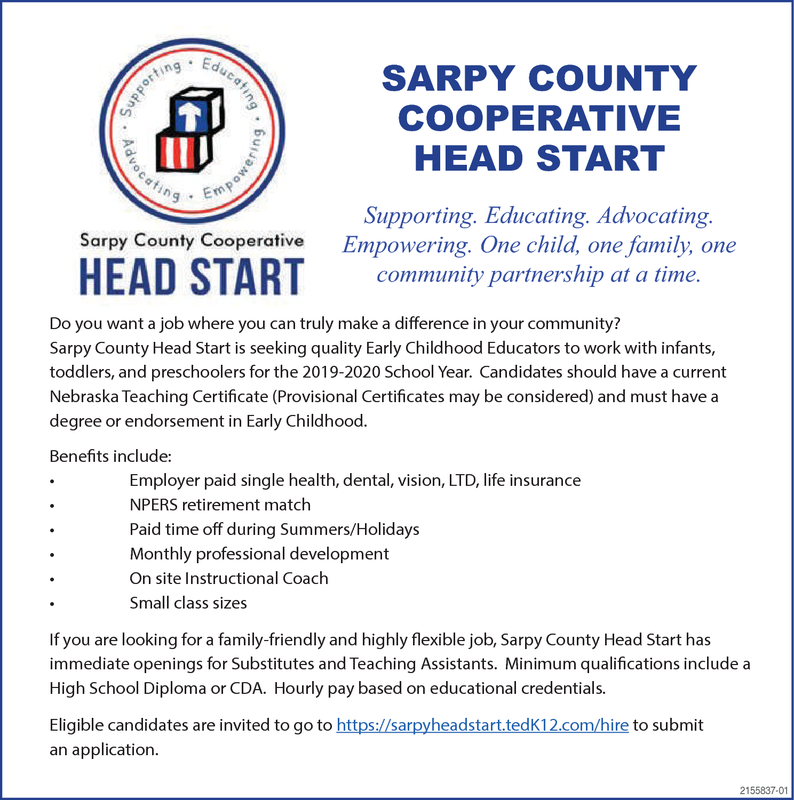 Sarpy County Head Start is seeking quality Early Childhood Educators to work with infants, toddlers, and preschoolers for the 2019-2020 School Year. Candidates should have a current Nebraska Teaching Certificate (Provisional Certificates may be considered) and must have a degree or endorsement in Early Childhood. If you are looking for a family-friendly and highly flexible job, Sarpy County Head Start has immediate openings for Substitutes and Teaching Assistants. Minimum qualifications include a High School Diploma or CDA. Hourly pay based on educational credentials. Eligible candidates are invited to go to https://sarpyheadstart.tedK12.com/hire to submit an application.